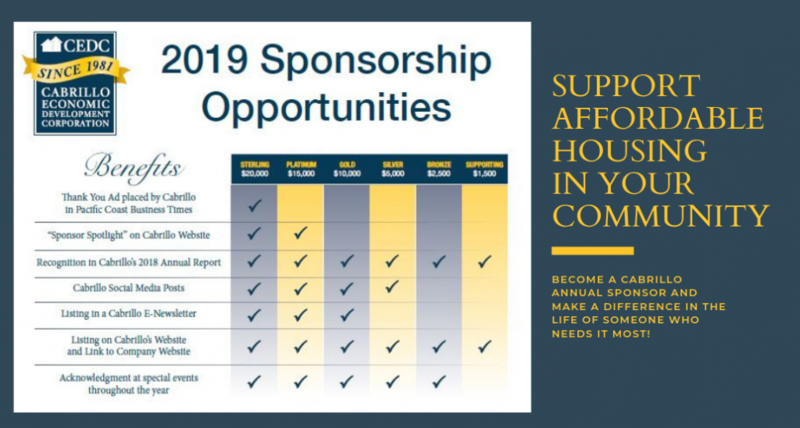 You are invited to support Cabrillo’s mission of affordable housing as a 2019 sponsor. Your organization will not only receive positive visibility and recognition, but you will make a difference in someone’s life. 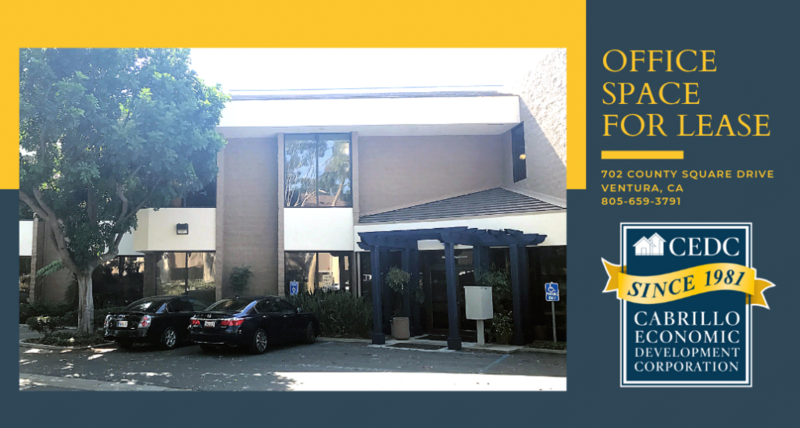 Cabrillo provides safe and secure housing for those who need it most, and creates a ladder of opportunity with enriching social and educational programs. 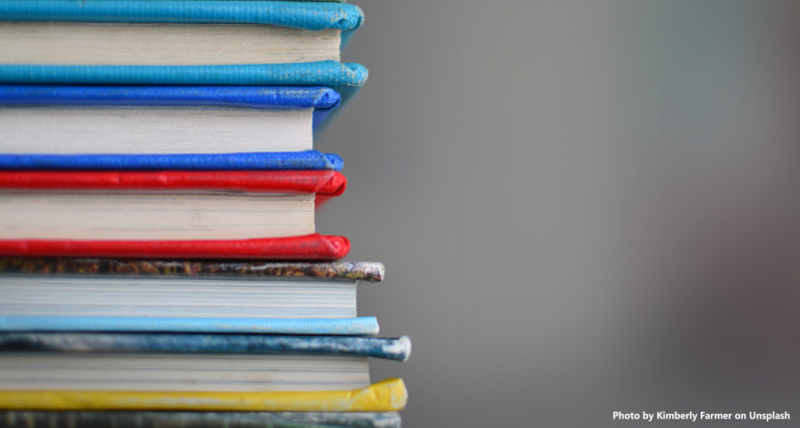 Cabrillo will be collaborating with CSU, Channel Islands, students this semester to provide homework assistance at its on-property Homework Cubs in Oxnard and Ventura. Cabrillo is recruiting 12 Chicano studies students to assist with Homework Club supervision and activities as part of their semester-long Service Learning Project. Students in a couple of additional CSUCI classes will volunteer time twice each throughout the semester to assist with tutoring and activities. 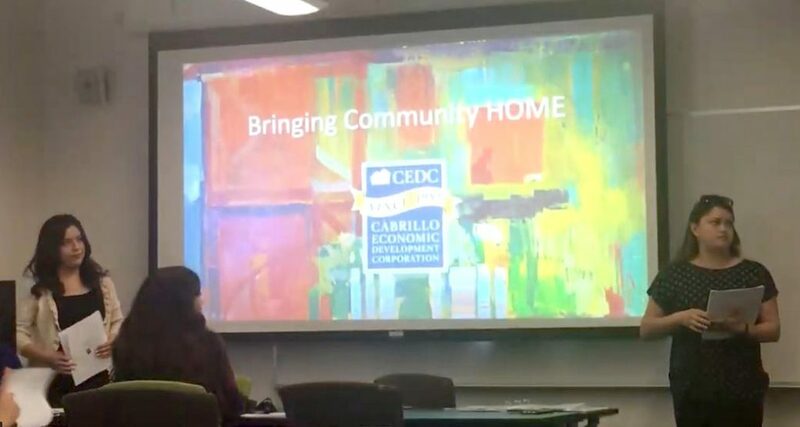 Click Here to view a video of the presentation given by Cabrillo Residents Services Coordinators Gloria Solorzano and Diana Ortega to CSU, Channel Islands, students as a part of a Service Learning Project in the Chicano Studies Classes. Daniele has served in many board capacities over the years, including President, Vice President and on several committees. Please join us in thanking Zeeda for her many contributions and service. Why did you choose to support Cabrillo? Cabrillo believes that housing is the foundation for improving the lives of low-moderate income and under-served individuals and families. 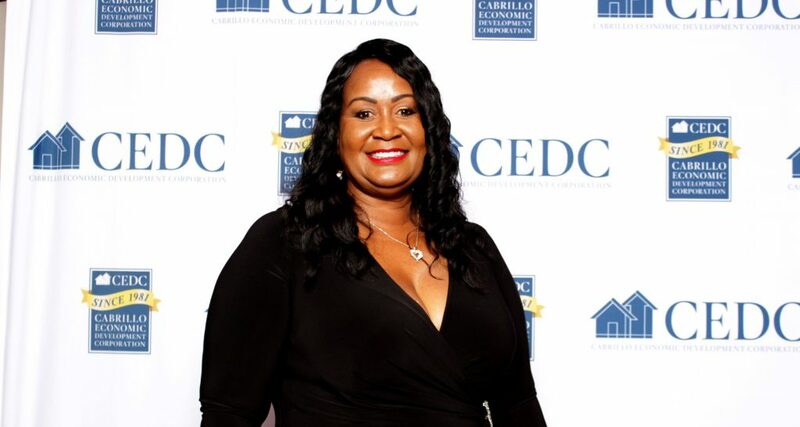 For more than 35 years, Cabrillo has put people first; through housing development, integrated programs and services that encourage housing stability and personal growth. I chose Cabrillo as much as we chose each other because of our common desire to change lives through affordable housing. Why is our mission meaningful to you? That’s too hard to answer. If you read Cabrillo’s mission of “Comprehensive housing and economic development services that encourage self-sufficiency for families lacking the most opportunity,” it is all meaningful. However, Cabrillo goes beyond this. 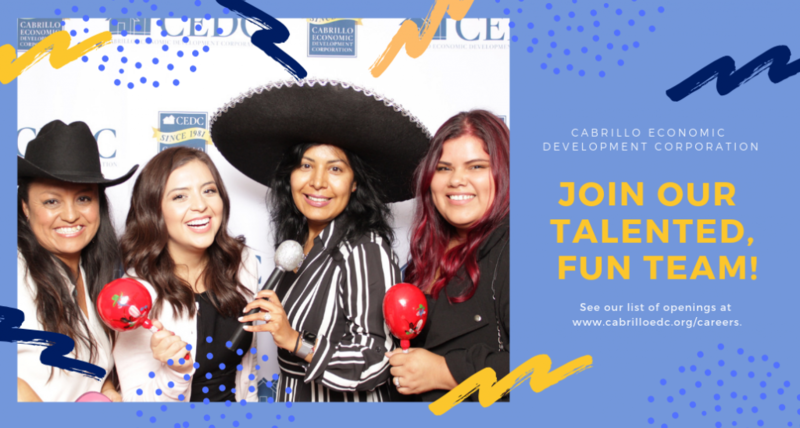 Cabrillo is an organization with a lens that looks at housing, jobs, transportation and all the aspects that make neighborhoods countywide safe, strong and thriving. Cabrillo’s housing development is most meaningful to me. Addressing the housing needs in an area desperately lacking housing for low to moderate incomes, special needs and seniors is critical. Cabrillo does this even when it’s unpopular to do so. I believe people living in America want their neighbors to live a better life. However, they struggle to overcome bias and myths regarding racial or social economic background, and how housing designed to address the needs of under-served households will influence the existing neighborhood. What do you love about Cabrillo? Everything! I love current CEO, Margarita de Escontrias’, vision for the present and future organization. I love all past and present staff that work tirelessly to make sure the opportunity and access to safe, sound and affordable housing and home ownership is possible. Attending my first grand opening of an affordable income/first-time buyer Cabrillo development in Oxnard. I remember meeting two wonderful families following the ribbon-cutting ceremony. One of the buyers was a young couple. The husband was a firefighter with just a few years on the job, and his wife was expecting their first child. He talked about being a third-generation Ventura resident and having almost given up on finding a home in the area. He also shared his hesitance in working with Cabrillo because he didn’t believe Cabrillo would recognize the needs and desperation of a middle-income family just starting out. Thankfully, his wife disagreed and signed them up for a Cabrillo workshop. Afterward, the couple drove around Ventura to see Cabrillo’s body of work, both for-sale and rental housing, for themselves. The rest is history. The second family was a large family. Both parents were farmworkers and residents at one of Cabrillo’s farmworker apartments. They expressed how moving from an apartment they shared with two other farmworker families into a Cabrillo rental project not only changed their lives — but their children’s lives and belief in what was possible. Together the parents and two of their children, now college graduates, started on an almost decade-long path to saving and preparing to own a home. The ceremony day exposed me to two very different families with very different life experiences, but the very same dream. A dream that without Cabrillo seemed out of reach. Cabrillo builds homes for people. However, how many do we need to build? 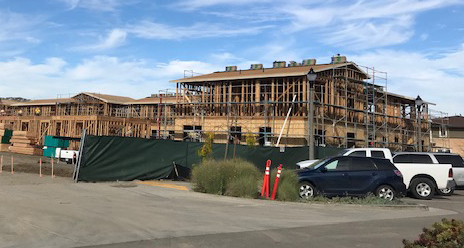 In the State of California, we need to build 180,000 new homes every year. Moreover, state housing law asks every city in California to plan for their fair share of that housing as placement, which should occur everywhere in our state. But, how much do we need here locally? 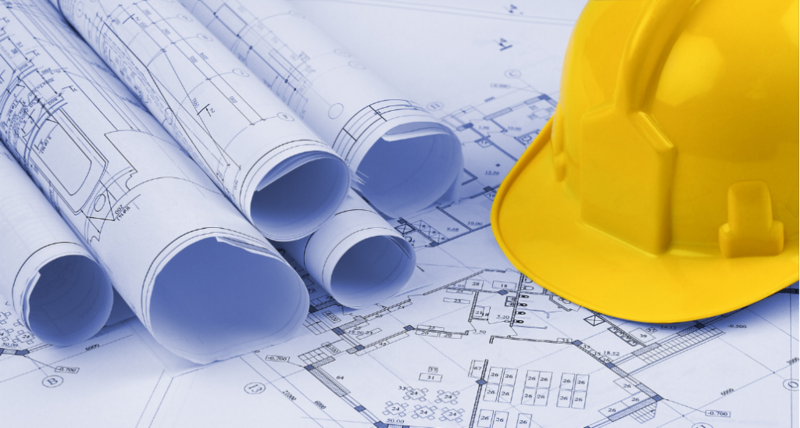 Over the previous eight-year cycle, statewide, we have not been building nearly enough. We need to identify ways to get housing built faster and more efficiently through our regulatory processes. We have state laws in place to ensure housing production. 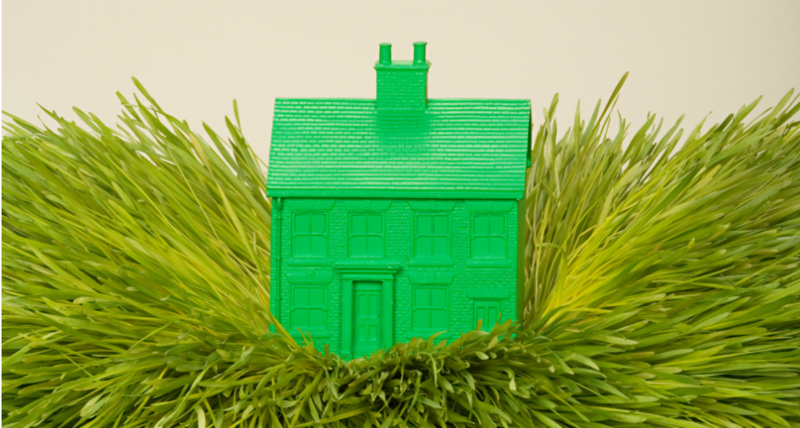 Coming out of the legislative session last year, housing advocates across the state were able to secure the 15 bills in the housing package signed into law. What a victory for us all! However, we must work toward a housing-jobs balance. There is a mismatch between demographics and housing — and between jobs and housing. We are losing jobs in Ventura County and not building enough housing to meet the increasing demands. Let us build right here in our county, YIMBY. Let us create jobs for our folk’s right here! It is not just that we need more supply; it is that we need more supply in the right places. Click the links for job descriptions, and fill out your application today!